The Governor said that anyone can visit Karnataka Raj Bhavan till August 31 from 4:30 pm to 7 pm after online booking. Raj Bhavan in Bengaluru is open for the public for 15 days from August 16. Karnataka Governor Vajubhai Vala has opened the gates of the century-old Raj Bhavan in Bengaluru for the public for 15 days from August 16. The Governor said that anyone can visit the heritage site till August 31 from 4:30 pm to 7 pm after online booking. Through Karnataka Tourism Department guides, the public in batches will be given 20 minutes to see the premises. Mr Vala said, "Raj Bhavan is a very old building. People are curious to see it and so this is our first attempt towards that. Anyone can visit the Raj Bhawan till August 31 from 4:30 pm to 7 pm after online booking. People will come in batches for 20 minutes." 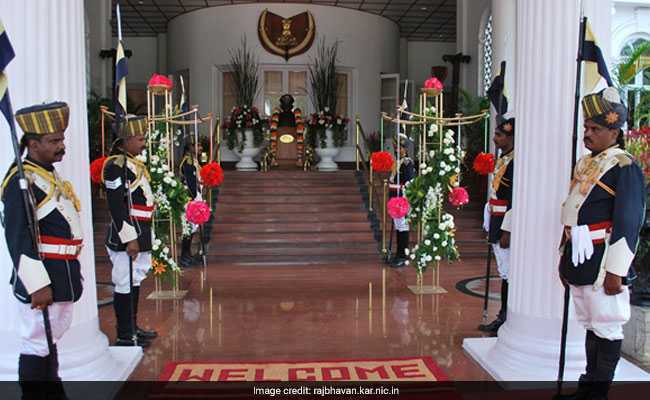 The gates of the Raj Bhavan, a building which houses the Governor, were opened for public on Thursday and Mr Vala welcomed people who queued up to enter the century-old building. The Raj Bhavan building was built by a British army officer Sir Mark Cubbon between 1840-42, when he was the Commissioner of the then Mysore territories. The building has remained inaccessible to the public so far. The Raj Bhavan, formerly known during British India as the Bangalore Residency, the Mysore State Residency, or, simply, the Residency, is the official residence of the Governor of Karnataka. It is located in the capital city of Bangalore, Karnataka.